in an All-Optical Cavity-Based Network"
"Quantum Channels and Memory Effects"
"Experimental Realization of Quantum Zeno Dynamics"
"Spatial Entanglement of Bosons in Optical Lattices"
M.M. Müller, S. Gherardini, and F. Caruso, Noise-robust quantum sensing via optimal multi-probe spectroscopy, Eprint arXiv:1801.10220. T.P. 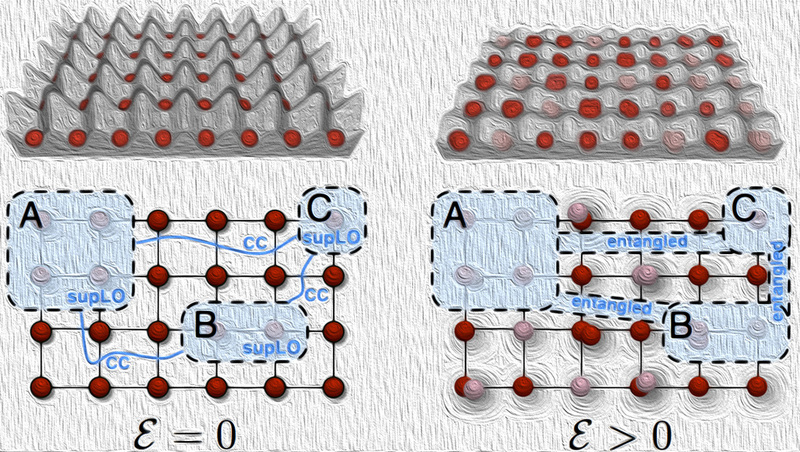 Le, L. Donati, S. Severini, F. Caruso, How to Suppress Dark States in Quantum Networks and Bio-Engineered Structures, Eprint arXiv:1707.07482. S. Gherardini, M.M. Müller, A. Trombettoni, S. Ruffo, and F. Caruso, Reconstruction of the stochastic quantum entropy production to probe irreversibility and correlations, Eprint arXiv:1706.02193. ​S. Gherardini, C. Lovecchio, M.M. Mueller, P. Lombardi, F. Caruso, and F.S. Cataliotti, Ergodicity in randomly perturbed quantum systems, Quantum Sci. Technol. 2, 015007 (2017). M.M. Mueller, S. Gherardini, and F. Caruso , Quantum Zeno Dynamics through stochastic protocols, under review in Annalen der Physik, Eprint arXiv:1607.08871 (2016). S. Gherardini, C. Lovecchio, M.M. Mueller, P. Lombardi, F. Caruso, and F.S. Cataliotti, Ergodicity in randomly perturbed quantum systems, accepted in Quantum Science and Technology (IOP), Eprint arXiv:1604.08518 (2016). M.M. Mueller, S. Gherardini, and F. Caruso , Stochastic quantum Zeno-based detection of noise correlations, Nature Sci. Rep. 6, 38650 (2016). S. Viciani, S. Gherardini, M. Lima, M. Bellini, F. Caruso , Disorder and dephasing as control knobs for light transport in optical fiber cavity networks, Nature Sci. Rep. 6, 37791 (2016). M.M. Mueller, S. Gherardini, A. Smerzi, and F. Caruso , Fisher information from stochastic quantum measurements, Phys. Rev. A 94, 042322 (2016). 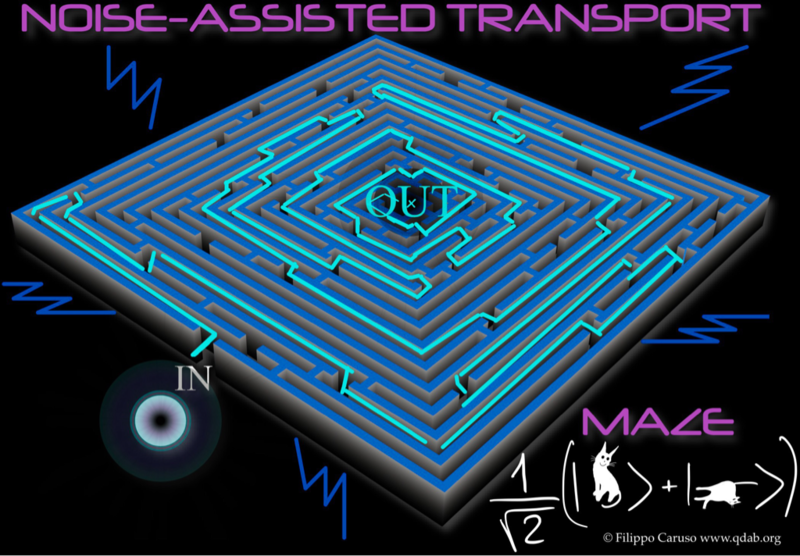 F. Caruso, A. Crespi, A.G. Ciriolo, F. Sciarrino, R. Osellame, Fast Escape of a Quantum Walker from an Integrated Photonics Maze, Nature Communications 7, 11682 (2016). H. Park, N. Heldman, P. Rebentrost, L. Abbondanza, A. Iagatti, A. Alessi, B. Patrizi, M. Salvalaggio, L. Bussotti, M. Mohseni, F. Caruso, H.C. Johnsen, R. Fusco, P. Foggi, P.F. Scudo, S. Lloyd, A.M. Belcher, Enhanced energy transport in genetically engineered excitonic networks', Nature Materials 15, 211-216 (2016). C. Lovecchio, F. Schäfer, S. Cherukattil, A.K. Murtaza, I. Herrera, F.S. Cataliotti, T. Calarco, S. Montangero, and F. Caruso, Optimal preparation of quantum states on an atom chip device, Phys. Rev. A 93, 010304(R) (2016). S. Gherardini, S. Gupta, F.S. Cataliotti, A. Smerzi, F. Caruso, S. Ruffo, Stochastic Quantum Zeno by Large Deviation Theory, New J. Phys. 18, 013048 (2016). S. Viciani, M. Lima, M. Bellini, and F. Caruso, Observation of noise-assisted transport in an all-optical cavity-based network, Phys. Rev. Lett. 115, 083501 (2015), PRL Editors' Suggestion. C. Lovecchio, S. Cherukattil, B. Cilenti, I. Herrera, F.S. Cataliotti, S. Montangero, T. Calarco, and F. Caruso, Quantum state reconstruction on Atom-Chips, New J. Phys. 17, 093024 (2015). R. Mencucci, S. Matteoli, A. Corvi, L. Terricciato, E. Favuzza, S. Gherardini, F. Caruso, R. Bellucci, Investigating the ocular temperature rise during femtosecond laser lens fragmentation: an in vitro study, Graefes Arch Clin Exp Ophthalmol 253: 2203 (2015), doi:10.1007/s00417-015-3196-7. Y. Li, F. Caruso, E. Gauger, S.C. Benjamin, Classical noise assists the flow of quantum energy by 'momentum rejuvenation', New J. Phys. 17, 013057 (2015). F. Caruso, V. Giovannetti, C. Lupo, and S. Mancini, Quantum channels and memory effects, Review of Modern Physics 86, 1203 (2014). F. Caruso, Universally Optimal Noisy Quantum Walks on Complex Networks, New Journal of Physics 16, 055015 (2014), Focus on Quantum Efficiency. F. Schafer, I. Herrera, S. Cherukattil, C. Lovecchio, F.S. Cataliotti, F. Caruso, A. Smerzi, Experimental realization of quantum zeno dynamics, Nature Communications 5, 2014 (2014). S. Hoyer, F. Caruso, S. Montangero, M. Sarovar, T. Calarco, M.B. Plenio, and K.B. Whaley, Realistic and verifiable coherent control of excitonic states in a light harvesting complex, New J. Phys. 16, 045007 (2014), special issue article in Focus on Coherent Control of Complex Quantum Systems. M. Cramer, A. Bernard, N. Fabbri, L. Fallani, C. Fort, S. Rosi, F. Caruso, M. Inguscio, and M.B. Plenio, Spatial entanglement of bosons in optical lattices, Nature Communications 4, 2161 (2013). C. D'Errico, M. Moratti, E. Lucioni, L. Tanzi, B. Deissler, M. Inguscio, G. Modugno, M.B. Plenio, and F. Caruso, Quantum diffusion with disorder, noise and interaction, New. J. Phys. 15, 045007 (2013), special issue article in Focus on The Frontiers of Disorder Physics. F. Caruso, S.K. Saikin, E. Solano, S.F. Huelga, A. Aspuru-Guzik, M.B. Plenio, Probing biological light-harvesting phenomena by optical cavities, Phys. Rev. B 85, 125424 (2012). J. Cai, F. Caruso, and M.B. Plenio, Quantum limit for avian magnetoreception: How sensitive can a chemical compass be?, Phys. Rev. A 85, 040304(R) (2012). F. Caruso, S. Montangero, T. Calarco, S.F. Huelga, and M.B. Plenio, Coherent open-loop optimal control of light-harvesting dynamics, Phys. Rev. A 85, 125424 (2012). F. Caruso, N. Spagnolo, C. Vitelli, F. Sciarrino, and M.B. Plenio, Simulation of noise-assisted transport via optical cavity networks, Phys. Rev. A 83, 013811 (2011). F. Caruso, J. Eisert, V. Giovannetti, and A.S. Holevo, Optimal unitary dilation for bosonic Gaussian channels, Phys. Rev. A 84, 022306 (2011). F. Caruso and H. Kantz, Prediction of extreme events in the OFC model on a small world network, Eur. Phys. J. B 79, 7-11 (2011). F. Caruso, S.F. Huelga, and M.B. Plenio, Noise-enhanced classical and quantum capacities in communication networks, Phys. Rev. Lett. 105, 190501 (2010). F. Caruso, A.W. Chin, A. Datta, S.F. Huelga, and M.B. 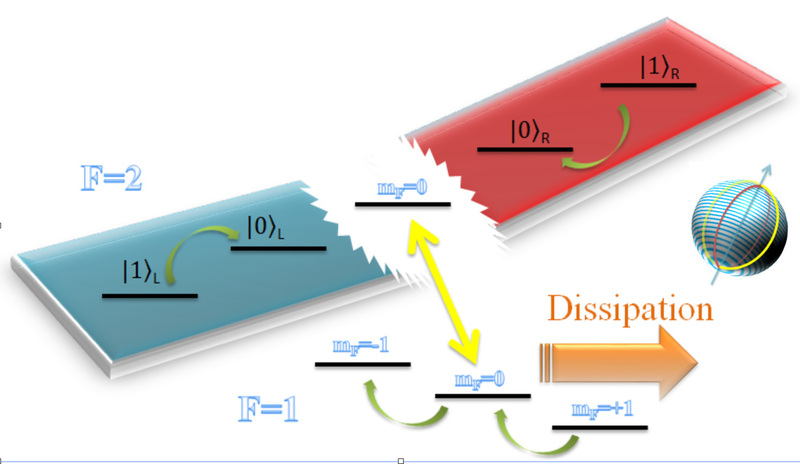 Plenio, Entanglement and entangling power of the dynamics in light-harvesting complexes, Phys. Rev. A 81, 062346 (2010). A.W. Chin, A. Datta, F. Caruso, S.F. Huelga, M.B. Plenio, Noise-assisted energy transfer in quantum networks and light-harvesting complexes, New J. Phys. 12, 065002 (2010). F. Caruso, V. Giovannetti, and M. Palma, Teleportation-Induced Correlated Quantum Channels, Phys. Rev. Lett. 104, 020503 (2010). F. Caruso, A.W. Chin, A. Datta, S.F. Huelga, and M.B. Plenio, Highly efficient energy excitation transfer in light-harvesting complexes: The fundamental role of noise-assisted transport, The Journal of Chemical Physics 131, 105106 (2009). F. Caruso, J. Eisert, V. Giovannetti, and A.S. Holevo, Multi-mode bosonic Gaussian channels, New. J. Phys. 10, 083030 (33pp) (2008). F. Caruso, V. Giovannetti, C. Macchiavello, and M.B. Ruskai, Qubit channels with small correlations, Phys. Rev. A 77, 052323 (2008). F. Caruso and V. Giovannetti, Qubit quantum channel: A characteristic function approach, Phys. Rev. A 76, 042331 (2007). F. Caruso, A. Pluchino, V. Latora, S. Vinciguerra, and A. Rapisarda, Analysis of Self-Organized Criticality in the Olami-Feder-Christensen model and in real earthquakes, Phys. Rev. E, Rapid Communications 75, 055101(R) (2007). F. Caruso, V. Giovannetti, and A.S. Holevo, One-mode bosonic Gaussian channels: a full weak-degradability classification, New J. Phys. 8, 310 (2006). F. Caruso and V. Giovannetti, Degradability of Bosonic Gaussian Channels, Phys. Rev. A 74, 062307 (2006). F. Caruso, V. Latora, A. Pluchino, A. Rapisarda, and B. Tadic, Olami-Feder-Christensen Model on different Networks, Eur. Phys. J. B 50, 243-247 (2006). F. Caruso, S. Vinciguerra, V. Latora, A. Rapisarda, and S. Malone, Multifractal Analysis of Mt. St. Helens Seismicity as a tool for identifying eruptive activity, Fractals Vol. 14, No. 3, 179-186 (2006). F. Caruso, H. Bechmann-Pasquinucci, and C. Macchiavello, Robustness of quantum key distribution with two and three mutually unbiased bases, Phys. Rev. A 72, 032340 (2005). F. Caruso, I. Herrera, S. Bartalini and F. S. Cataliotti, Slow Light amplification in a non-inverted gain medium, Europhys. Lett. 69, 938-944 (2005). F. Caruso and P. Castorina, Opinion dynamics and decision of vote in bipolar political systems, Int. J. Modern Phys. C Vol. 16, No. 9, 1473 (2005). F. Caruso, A.W. Chin, A. Datta, S.F. Huelga, and M.B. Plenio, Noise-assisted transport in biological quantum networks, in Proceedings of 4th Feynman Festival and 11th International Conference on Squeezed States and Uncertainty Relations, International conference, June 2009, Olomouc, Czech Republic. F. Caruso and V. Giovannetti, A new approach to characterize qubit channels, International Journal of Quantum Information 6, 621 (2008). F. Caruso and C. Tsallis, Extensive nonadditive entropy in quantum spin chains, as invited paper in Proceedings of the Conference CTNEXT07, Complexity, Metastability and Nonextensivity, Catania, Italy, 1-5 July 2007, eds. S. Abe, H.J. Herrmann, P. Quarati, A. Rapisarda and C. Tsallis, American Institute of Physics Conference Proceedings 965 (New York, 2007), p. 51. F. Caruso and V. Giovannetti, Bosonic and Qubit Gaussian channels, Proceedings of XCIII Italian Physical Society Congress, Pisa, Italy (2007). F. Caruso, A. Pluchino, V. Latora, S. Vinciguerra, and A. Rapisarda, Self-Organized Criticality and Earthquakes, Proceedings of the Conference CTNEXT07, Complexity, Metastability and Nonextensivity, Catania, Italy, 1-5 July 2007, eds. S. Abe, H.J. Herrmann, P. Quarati, A. Rapisarda and C. Tsallis, American Institute of Physics Conference Proceedings 965 (New York, 2007), p. 281. F. Caruso, I. Herrera, and F.S. Cataliotti, Quantum state transfer in a non-inverted gain medium, Proceedings of XCI Italian Physical Society Congress, Catania, Italy (2005). F. Caruso, V. Latora, A. Rapisarda, and B. Tadic, The Olami-Feder-Christensen Model on a Small World topology, Proceedings of 31st Workshop of International School of Solid State Physics: Complexity, Metastability and Nonextensivity (Erice, Italy), eds. C. Beck, G. Benedek, A. Rapisarda, C. Tsallis, The Science and Culture Series Physics (World Scientific, 2005). The paper JCP 131, 105106 (2009) is the first most cited 2009's paper (around 400 citations) of Journal of Chemical Physics (JCP), and has been featured as one of JCP's research highlight articles. Furthermore, it has been selected for the September 2009 issue of JCP: BioChemical Physics. Two movies related to the numerical simulations, performed by Filippo Caruso for this paper, have been highlighted and used by APS to increase public awareness and media coverage of the science presented at the APS March meeting in Pittsburgh in 2009. The paper NJP 12, 065002 (2010) has been included in the New Journal of Physics Best of 2010, Additionally, it has been selected by NJP to make a video abstract for the launch of NJP's new video abstract service in 2010. Finally, his research achievements have been also cited and highlighted, among others, in Nature group journals, as in the following articles: Nat. Phys. 6, 402-403 (2010), Nat. Phys. 8, 285-91 (2012), Nat. Phys. 8, 562-567 (2012), Nat. Phys. 9, 10-18 (2013), Nat. Phys. 9, 113-118 (2013), Nat. Phot. 8, 796-800 (2014). Since 2005, we have published around 46 papers in international peer-reviewed journals, including 1 Rev. Mod. Phys., 3 Nature Commun., 1 Nature Mat., 2 Nature Sci. Rep., 3 Phys. Rev. Lett., 14 Phys. Rev., and 9 NJP. As of November 2016, our publications have attracted around 1200 citations according to ISI-Web [>2000 citations according to Google Scholar, including citations from arXiv preprints, and >1600 citations since 2012]. The average number of citations per article is 45. The total impact factor is 240, with its average per (only published) paper being ∼6. F. Caruso's h-index is 16 (ISI-Web) [22 (Google Scholar)], while his i10-index is 33 (Google Scholar).